As expected, Vin Diesel brings the strong, cool demeanor that we've come to know over the years. The film gets you started early with some magical action. This movie is chock full of special effects with all of the magic that is used from beginning to end. One thing that will keep you engaged is probably how the story is presented. We get to follow an interesting mystery that unravels at a reasonable pace. Best of all, there's a nice plot twist that was completely unexpected. Also, while this movie wasn't necessarily a horror film, there were some scenes that had the Queen Witch looking kind of scary. There were a couple of moments where the the CG effects were just a tad bit over kill. Things would happen so fast, with so many lights flashing, that it was hard to make out what exactly was going on. Probably one of the most disappointing aspects of this film was the anticlimactic ending. For the entire duration of the movie, we're led to believe that the main enemy is so powerful and a threat to be feared. However, the final battle just felt rushed and was a little unsatisfactory. Matter of fact, the entire ending seemed under-developed. It seemed like the writers wanted to just finish the movie, which ended the film in a very convenient way. 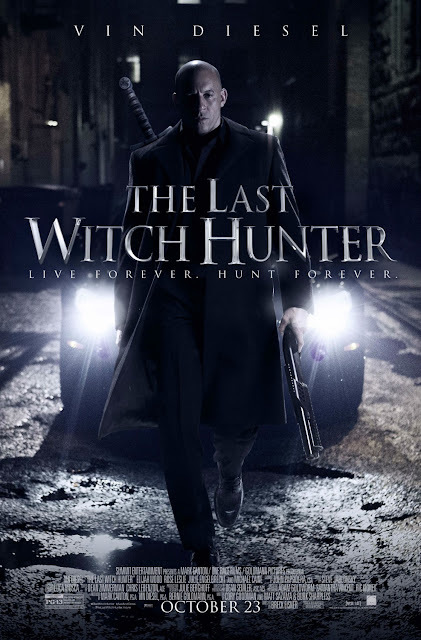 The best way I could describe this movie would be to say that it's Blade + Constantine (except with witches.) There haven't been very many witchcraft or magic oriented movies for a while, since we've been stuck on vampires, zombies and paranormal activity ghosts. What you see in the trailer is exactly what you're going to get. Despite the so-so ending, it was still an enjoyable movie overall for the most part. I'd recommend seeing it in theaters for the matinee price and with low expectations. 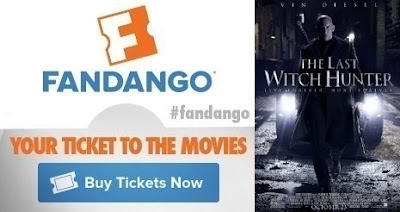 You can find Ian's detailed review of Last Witch Hunter by clicking here, (may contain spoilers) and his other reviews on his website Kicking The Seat. The visuals in this movie are beyond captivating. You're either going to be too afraid of the ghost(s) to look, or too intrigued by their unique designs to turn away. 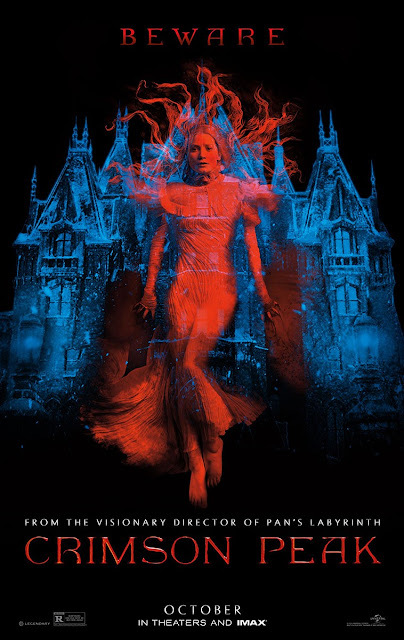 Director Guillermo del Toro is simply genius with his unique, artistic and beautiful portrayal of the ghosts. Tom Hiddleston does a really nice job in this film, but Jessica Chastain easily has the strongest performance. There are some really scary moments in the first half of the movie, and you can expect some creepy scenes that are similar to the movie Insidious. A consistent flaw with del Toro's amazing visuals is that in the majority of his horror films (Mama, for example) he erases the sense of horror the closer you get to the end of the movie. He'll do a terrific job of introducing and subtly showing you the ghosts/monsters, but towards the end of the movie he'll show you entirely too much. By the time you see all of the ghost, it's just not as scary anymore, and there's nothing left to the imagination. This film was no exception. Matter of fact, the movie completely transforms into a different genre after the halfway point. It goes from horror to slasher-thriller. The downfall with this is that while you're no longer busy focusing on being afraid of the ghosts, you begin to pay more attention at all of the MANY plot holes in the story. There are a number of issues in the story that seem like convenient writing, or lack of creativity, just to hurry the movie along. If you're a fan of del Toro's work in projects like The Strain, Mama, or Pan's Labrynth, you'll be sure to notice that del Toro recycles a lot of the same things in this movies. (i.e. : long crooked fingers, fast moving monsters, moths, or even floating ghosts in the air) Despite the similarities, del Toro still never ceases to amaze you visually speaking. 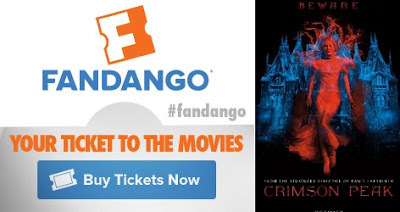 That in itself makes Crimson Peak worth the watch in the theaters. Actors are good, story is "meh", and the ghosts are really cool to look at. As I mentioned, the movie does go from horror to thriller, but the trailer sells this as if it's only a horror. So I'm just giving you the heads up now so you don't go in thinking it'll be a complete scary film. Matinee price is all that you'll need spend to watch this. As expected, Tom Hanks is both witty and charming throughout the movie. 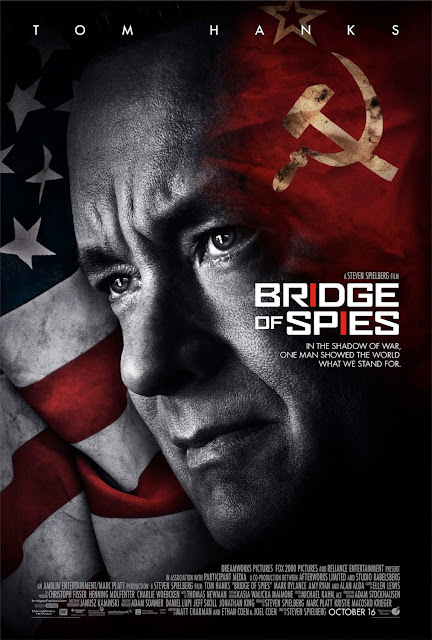 Both Tom Hanks and Mark Rylance (who plays the accused Russian spy "Abel") have great on-screen chemistry. Overall, there was really good quality acting across the board. Probably one of the most lively moments occur halfway into the movie once the US military finally gets involved. I think it's fair to say that the entire first half of the movie was pretty boring. You have to wait almost 45 minutes to an hour before a certain scene happens in the movie that may wake you up. Despite Hanks being portrayed as a skillful lawyer, we never really get to see any type of exciting, genius-like lawyer tactics used in the court room. The focus on the negotiations in the story are only somewhat interesting, and the suspense that it attempts to build at the end is mediocre. Rather than shooting the movie in a dynamic way that shows the two separate stories in a parallel fashion, the movie is shot along a straight forward timeline. By showing the movie in the sequential order, it just made the movie feel longer. (2.5 hours run-time) Finally, the sense of fear and paranoia only felt mild at best. You know there's a war going on, but the real sense of urgency just isn't conveyed very well. I know this is a Spielberg movie, however, unlike others, I will not simply give him a pass. The intent and effort in this movie is definitely good. However, I just don't think that this movie lives up to the hype that Spielberg used to command. If I'm not mistaken, it's been over 13 years since Spielberg's done a major film that's appealed to average movie goers. (Minority Report 2002) This is probably the type of film that movie purists and people in the movie industry may like. I just don't see the average person really caring about this movie in the same way. I wouldn't recommend watching this in theaters. I think that if you're interested you can watch it at home and be just fine. If you didn't win, don't worry, I'm still doing random, surprise giveaways at any time. I may not even announce when I'm going to do it. 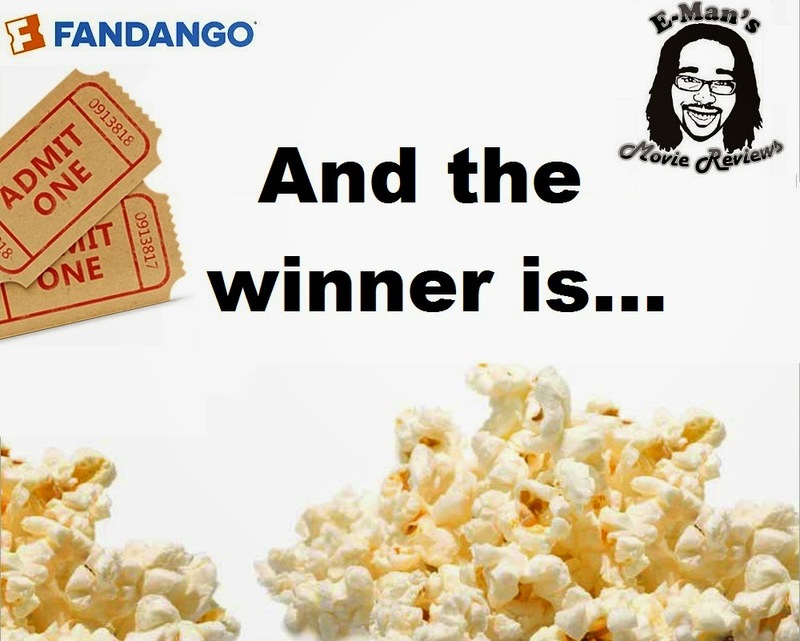 As long as you're on the email list for now, you're automatically entered for a chance to win! Thank you all for participating. Are you on our weekly email list? If not, then Click Here to join. 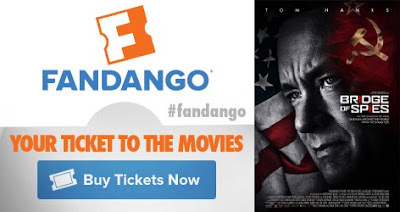 One email, every Friday, and you'll have a chance to win movie tickets too! The best aspect about this film is the actual story itself. The director does a nice job of making sure that the sentiment and feelings of the housing market issues of 2008 are consistently centered upon, and how they affect the average homeowner on a personal level. This was probably Andrew Garfield's best performance that I can think of. He emits a lot of pure emotion that probably reflects a lot of the feelings involved with the subject matter of the story. Michael Shannon probably stole the show with his performance. Shannon was clearly the more interesting character with his morally ambiguous role. It was difficult at times to know whether you should hate, approve, or understand his character's motives. I think that if you want something with a slightly different story with some good acting (From Michael Shannon) then it's at least worth the watch at home. Matt Damon's character is charming, witty, and funny. His character always managed to pick the movie up in a very light-hearted, and often times humorous way. There was also a great combination of supporting actors that each contributed in their own way into the movie. (So don't worry, you won't be stuck watching only Matt Damon for almost 2.5 hours straight.) You get some solid performances from Jeff Daniels, Chiwetel Ejiofor, Michael Peña (funny yet again), Jessica Chastain and so many others in the supporting cast. It interesting and enjoyable to see how the movie almost seemed like two different movies in one. 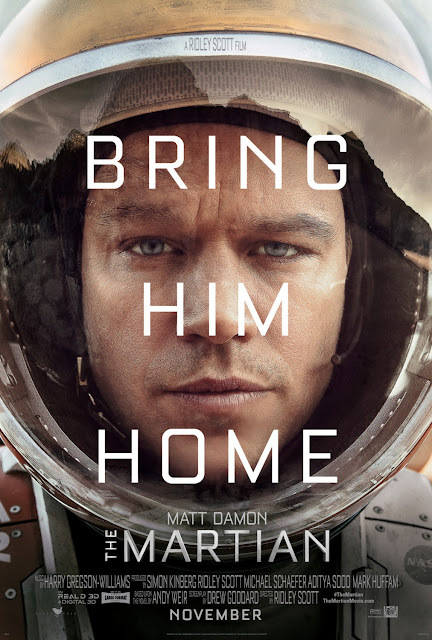 The first being Matt Damon's experiences on Mars, and the other being the rest of the characters on earth attempting to bring him home. The film also did a good job of bringing a level of science that would appease die hard sci-fi fans, but still make things relatable for the average person. There are some times when this film can get a little too "sciencey". There were times where I found myself getting lost in the detailed, technical explanations during some of the scenes. (Luckily they had visual demonstrations to help it all make sense.) In a strange way, this movie never really hit any highs or lows. 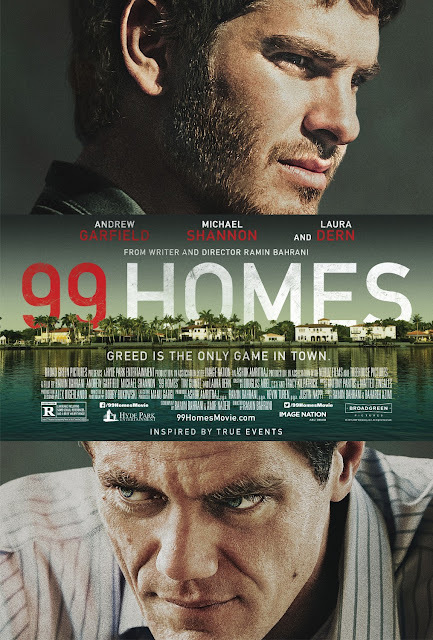 It's not a boring movie at all, but the suspenseful moments weren't going to get you on the edge of your seat, nor were the sad moments going to have you watery-eyed. 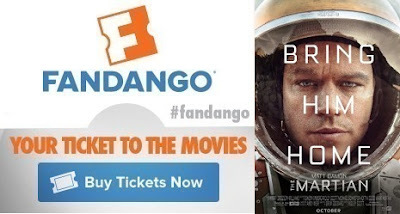 The best way to describe this movie is Castaway + Gravity (Click for my previous review). If you were thinking that this movie was just a copy of Interstellar, I can tell you now, it's definitely not that. (However, there is one scene that is ridiculously similar to a scene in Interstellar.) While Interstellar was similar to sitting in on a 3 hour university lecture on quantum physics, The Martian is like your high school science class with that cool teacher who made science fun. Overall, The Martian is a scientific adventure that will give you a warm fuzzy feeling inside. It will be shown in 3D, and there are two scenes in the beginning and the end that I do feel make the 3D worthwhile. I think it's more than worth the watch in theaters. However, if you did happen to decide on watching this at home, that's not a bad idea either. The film's story will be more than enough to keep you entertained.